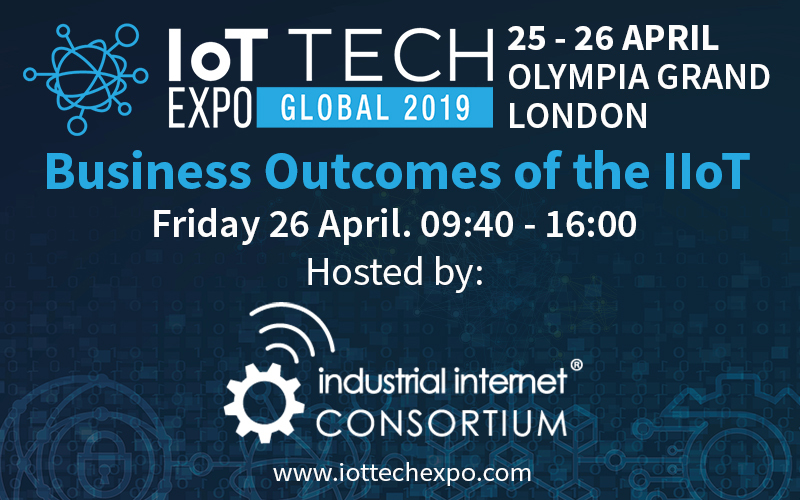 The IoT Tech Expo and the Industrial Internet Consortium (IIC), now incorporating OpenFog, agreed to host a conference track exploring business outcomes of the IIoT at the Global event on Friday 26 April in Olympia, London. Speakers will be exploring topics including IoT, Li-Fi, blockchain, AI, edge computing, digital twin, smart cities, privacy and more. The Industrial Internet Consortium is the world’s leading organisation transforming business and society by accelerating the Industrial Internet of Things (IIoT). Their mission is to deliver a trustworthy IIoT in which the world’s systems and devices are securely connected and controlled to deliver transformational outcomes. The co-hosted conference track will feature a stellar speaker line-up made up of IIC members who will be sharing their knowledge and experiences of the Industrial IoT. Farid Bichareh, CTO, AASA Inc.
Bassam Zarkout, Executive VP, IGnPower Inc. 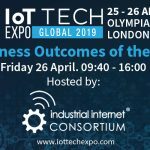 The IoT Tech Expo World Series (https://www.iottechexpo.com/) is the leading Internet of Things event and hosts top level content and discussion, introducing and exploring the latest innovations in the IoT arena. It brings together key industries including Manufacturing, Transport, Supply Chain, Logistics, Government, Energy and Automotive. The IoT Tech Expo is the leading global Internet of Things event series, with 2019 events taking place in London, Amsterdam and Silicon Valley. The 2019 World Series is set to welcome 36,000 attendees, 1000+ industry leading speakers and 900+ exhibitors to explore the IoT ecosystem across dedicated conference tracks including IoT, Smart Energy, Cities, Buildings, Developing, Transport, Enterprise IoT Solutions, Data Analytics, IoT Innovations and more. It is also co-located with the AI & Big Data Expo, Cyber Security & Cloud Expo and Blockchain Expo.